On Thursday, the Planning Authority board is expected to turn down a permit for an apartment block that would be overlooking Dom Mintoff’s Tarxien villa, which was recently granted Grade 1 protection – the kind of protection level enjoyed by national monuments, including churches, cathedrals and fortifications. 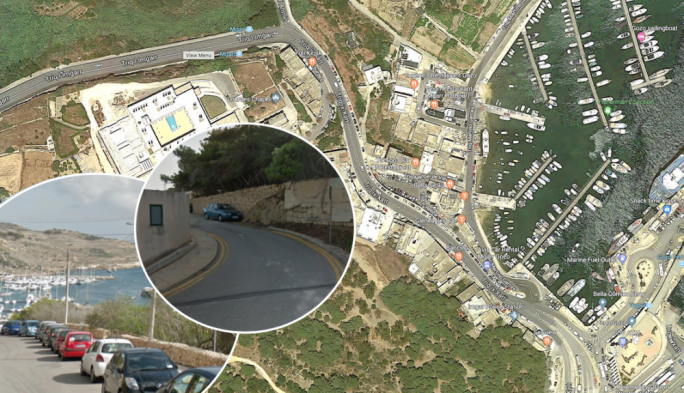 In contrast, the Environment and Resources Authority has recently rebuked the “piecemeal” approach to development on the site of Mintoff’s former summer residence, ‘l-Gharix’ in Delimara, where the PA approved a swimming pool, additions to its second floor and regularised a number of minor irregularities. 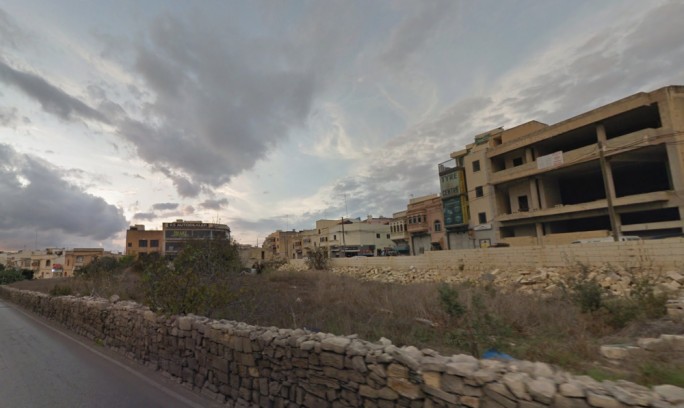 The protection of Mintoff’s Tarxien villa ‘The Olives’ comes in the wake of a planning application for an apartment block on a plot next door conforming to the area’s four-storey limitation. No objection was even made by the Superintendence for Cultural Heritage to this development. 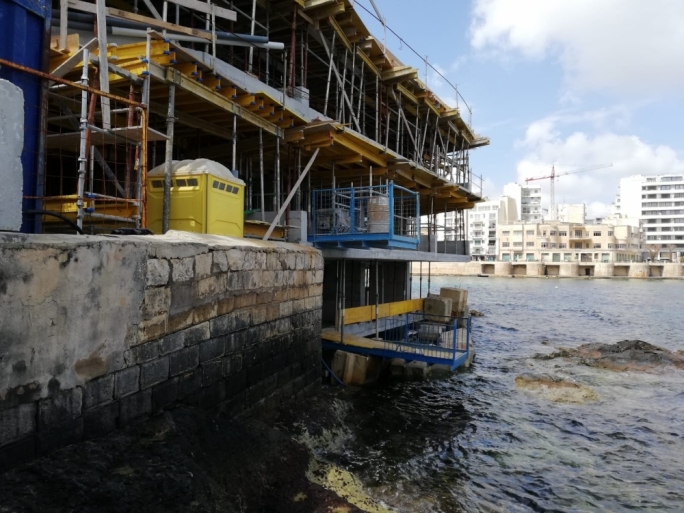 But during the processing of this application, the PA’s Heritage Planning Unit (HPU) indicated that the application could prejudice the future scheduling of Mintoff’s former residence, which is adjacent to the proposed block of apartments. The case officer recommending the refusal of the application said it would create an extensive blank party wall overlooking a site of historic and architectural importance. In a statement, the PA said that it had scheduled the building both for its architectural value as well as for its historical, political and social significance. 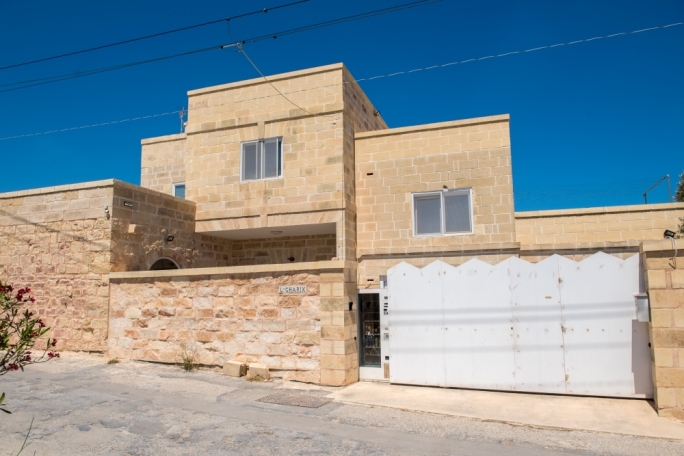 Had the PA chosen to grant Mintoff’s villa Grade 2 protection – normally accorded to modernist architectural gems like Villino Grech in Balzan or the Farsons brewery – it would not been able to stop the adjacent development. But since Grade 1 protection also has a bearing on the setting of the scheduled building, it is now very unlikely that the adjacent development can take place. Mintoff’s daughter, Yana Bland Mintoff, was one of the objectors to the development. 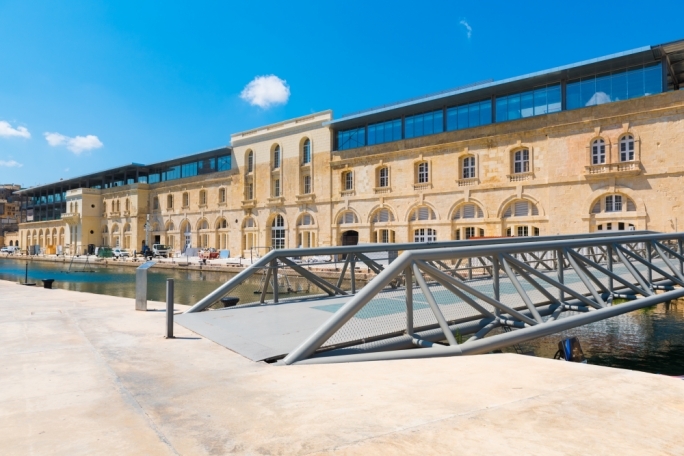 Apart from objecting on policy grounds, arguing that the proposed development “will stand out in contrast with the low-lying residential dwellings fronting the gardens”, she also insisted that the Mintoff’s property merits protection from surrounding development. Yet while The Olives is now been preserved for posterity, Delimara’s l-Gharix – another of Mintoff’s own architectural creations – was sold to a developer who according to the ERA had adopted a “piecemeal approach” to developing the building. Silvio Cassar, a 36-year-old businessman from Fgura, bought the summer residence for €250,000 in 2014. He was subsequently allowed to carry out internal alterations, make additions on the second floor, replace roofs and construct a swimming pool in the grounds of the building. The ERA had objected to the pool and the increase in the paved area around the villa. 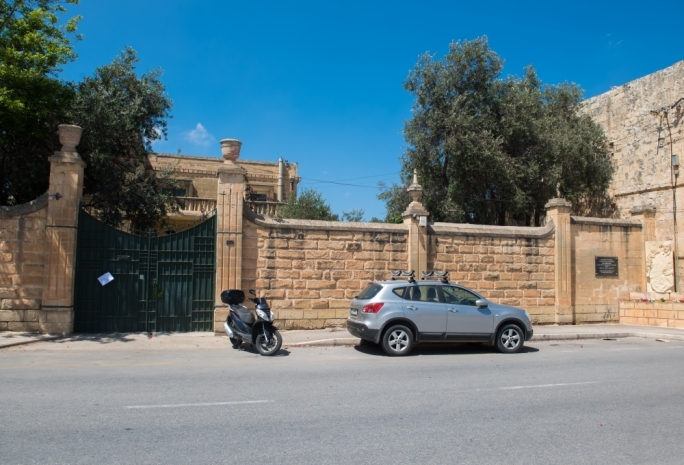 During the processing of the application, the PA could not trace planning permits for a number of changes made to Mintoff’s villa between 1978 and 1994. These included a number of rooms at the back of the building. 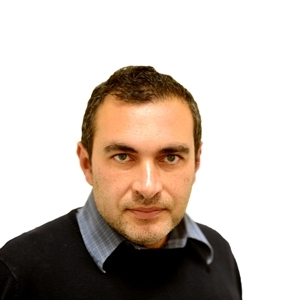 Architect Charles Buhagiar – the Labour MP acting on behalf of Cassar – was advised by the PA to include the sanctioning of these illegalities in the application. “Multiple interventions took place along the years, resulting in further site formalisation, loss of the rural character and visual impacts,” the ERA said in its recent memo to the PA. It also said that the height of the dwelling had resulted in the scarring of the landscape, an Area of High Landscape Value (AHLV). It called for the removal of a steel gate and for its substitution with a timber gate. Mintoff’s Tarxien villa joins the ranks of “outstanding architectural or historical interest” that have to be preserved in their entirety. Planning rules also preclude changes to the “setting” of these buildings thus precluding development by neighbours. Examples include Auberge de Castille and the Tritons fountain in Valletta, the Siculo-Norman building in Birgu, the Archbishop’s Palace in Floriana, San Anton Palace in Attard, De Rohan Gate in Zebbug, Selmun Palace and 50 parish churches. These include buildings of some architectural or historical interest or which contribute to the visual image of an Urban Conservation Area. Permission to demolish such buildings is not normally given but alterations to the interior can be allowed if proposed to be carried out sensitively and causing the least detriment to the character and architectural homogeneity of the building. Examples include: Rialto Cinema in Bormla, Television house in G’Mangia, Roseville in Attard, The Royal Opera remains in Valletta, the Wignacourt fountain and the Greek Orthodox church in Valletta, Auberge d’Italie in Birgu, Perellos Redoubt in Salina, Villa Madama and Gardens in Balzan, Villa Bonici and gardens in Sliema, Villa Grognet in Mosta, Farsons Brewery in Birkirkara, Villa Mekrech in Ghaxaq, the Carmelite Convent in Imdina and Villa Priuli in Balluta, Tal-Wejter tower and the Modernist Villino Grech in Birkirkara, Bishop Cagliares’s summer residence and stables in Buskett Rabat. These buildings have some architectural importance but can be demolished if there is no other alternative. 157 buildings including Augere d’Allemagne in Birgu, Ghar Dalam museum in B’Bugia, St Patrick’s barracks and infirmary in Pembroke, Housing block in Pieta, Ta’ Baldu Farmhouse in Rabat. The Planning Authority is presently considering the scheduling of around 100 properties, which still lack protection especially when these are located outside urban conservation areas. These include Villa Ignatius in St Julian’s, the Officers’ Mess in Fort Cambridge Sliema, the Wembley ice-cream factory in Msida and a number of art-deco buildings in Qui-Si-Sana.